Photos of undisguised Audi S7 test mules have been popping up a lot lately, so we knew it would only be a matter of time for one of our spy photographers to catch one. 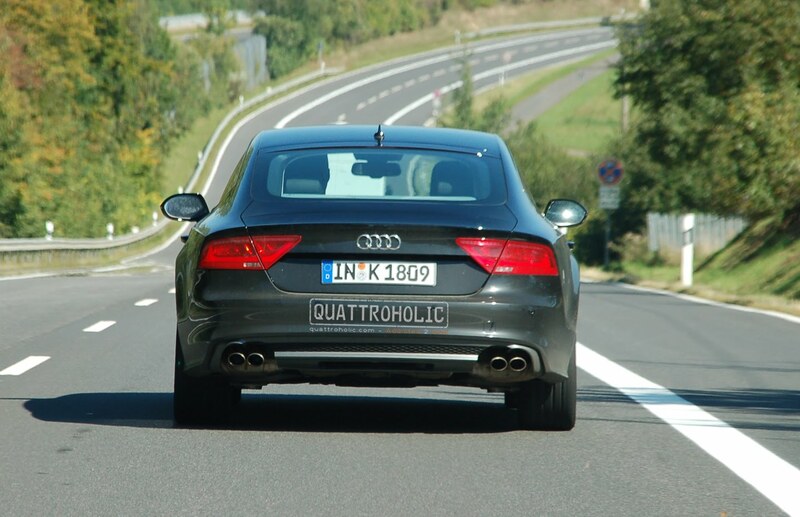 Spotted leaving the Nürburgring this afternoon, this test mule's quad exhaust pipes are the most noticeable cue revealing itself as the highly anticipated Audi S7. 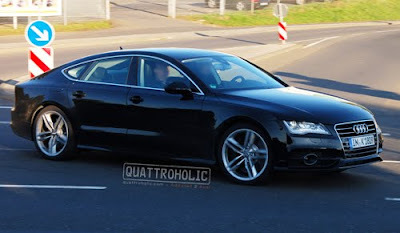 As you can see, there's little differentiating this Audi S7 mule from a production A7 S-line. Only the car's aforementioned quad exhaust, wheels and aggressive rear valence seem to separate the two. It's what will be under the hood that begs the most questions. At this point, most (reliable) speculation points to a twin-turbocharged 4.0 TFSI V8, pumping out somewhere north of 400 horsepower. We imagine the S7 will have a few more-aggressive styling cues not seen on this test mule. In fact, our friend George at Fourtitude created a really great render of what the production Audi S7 should look like - click here to check it out. Rumor has it that the Audi S7 will make an official debut at next month's 2010 Paris Motor Show. If that's true, we imagine official photos and specifications should not be far away.